Commissions may be generated on any invoices that have been generated. 2. In the Manual Commission Run screen, enter the Effective Run Date, which may be today's date or any other date. The Cycle Start Date and the Cycle End Date. For example: Billing Run was on 11/5/2014. Invoices are generated with the "Invoice Date" of 11/5/2014. 11/5/2014 must fall within the cycle start and cycle end dates. 3. 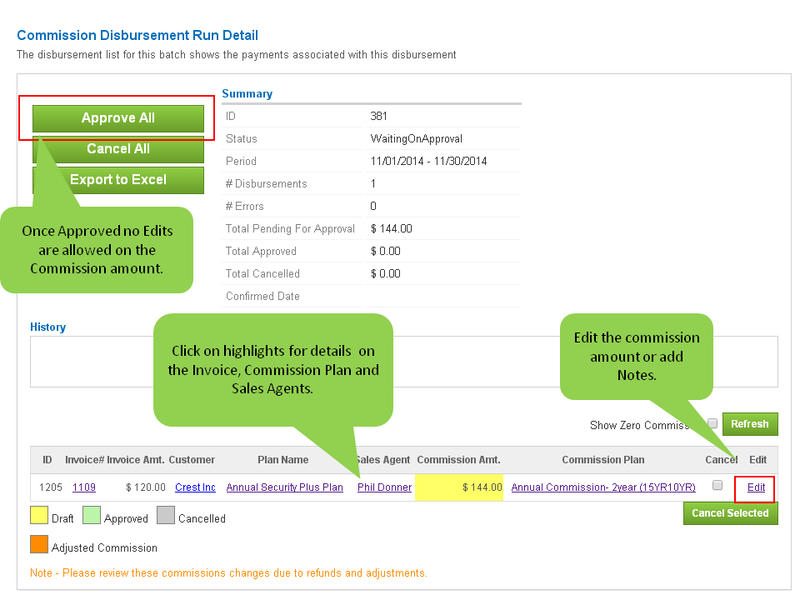 Once the commission has been calculated, you can review the same from [Billing Cycles>>View Sales Agent Commission] by clicking on the status. This will take you to the Commission Disbursement Run Detail. - Approve or Cancel the Commission Run. 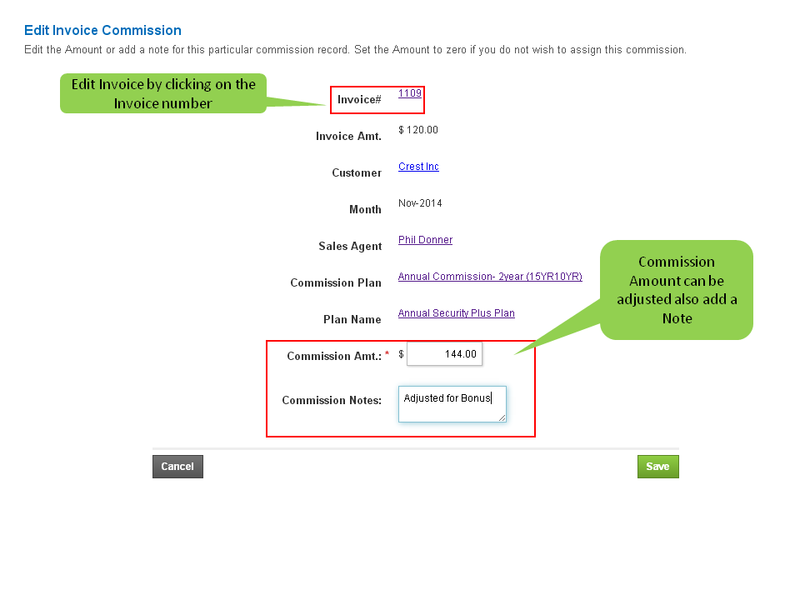 - Edit the commission amount by clicking on the Edit button indicated in the figure below. - See details regarding the commission that was generated. The Invoice it pertains to, the commission plan that was used to compute the commission, the sales agent the commission goes to and the name of the customer.